We are about as inert as inert gets. From cccccold weather to warmer weather is always a bit of a pleasant shock to the system, but leaving behind the hustle and bustle also seems to bring on the need to nap a lot, and The Pug and I have certainly not been denying ourselves the nappage. But that’s been pretty much the full extent of our adventures so far. Maybe something a bit more ambitious tomorrow. 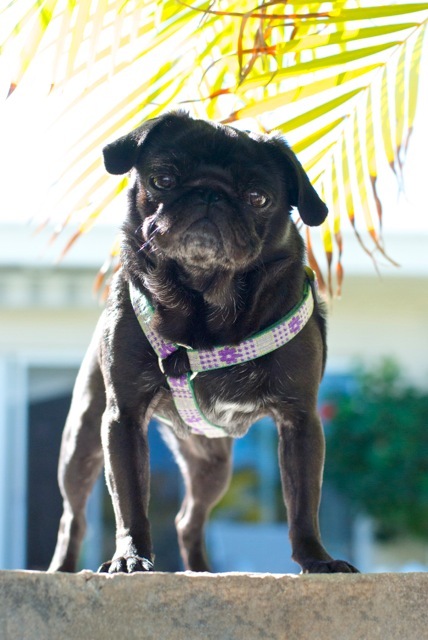 I don’t think Lola Pug minds all that much, to be honest. The more pug-like I become, the more naps she can squeeze in, so we all win – in the short run, at least. Oh, that is a face that says, you gots your pics? Yeah? okay, let’s eat, then snooze! I like your style Lola! The only thing you are missing here is cold then oh yes lets have somemore cold please. You are not missing a thing here while on the other hand you are much missed. We are battening down the hatches for a big dump of snow in the GTA tomorrow. 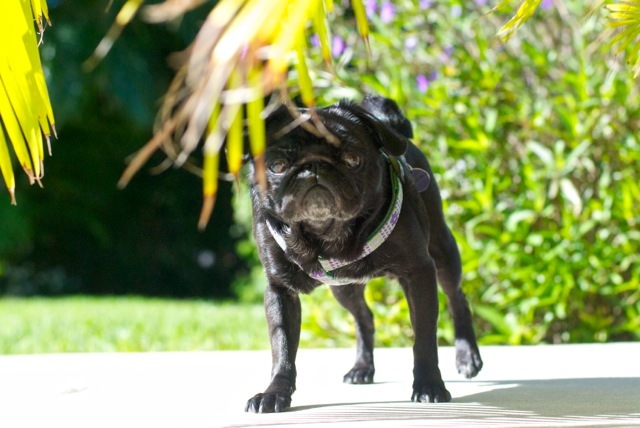 Love these “jungle” pics of you, Lola Pug!